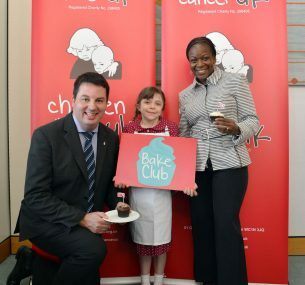 On Wednesday, I hosted the Children with Cancer UK Bake Club launch in Portcullis House, Westminster. This fantastic initiative aims to raise awareness across the UK of all childhood cancers. The charity supports scientific research into the causes, prevention and treatment for children and young people, and provides support for them and their families. As a member of the Health Select Committee, I was very proud to host this event. This is a disease area where there is the need to do a lot more: 3,600 children and young people, are diagnosed with cancer every year in the UK and improving this situation is a vital goal. I’ve been a supporter of Children with Cancer UK since I entered parliament in 2010 and started to learn about the excellent work they fund. I am always delighted to help support their initiatives and of course, Parliamentary Bake Club was a great way of introducing my colleagues in Westminster to the charity and the wonderful work they do. At the event I met Tara McCarthy, the face of Bake Club. Tara was diagnosed with leukaemia when she was just two years old and has shown tremendous courage and fortitude in fighting this terrible disease. Last year, she achieved her five year remission and today, she’s a bubbly ten-year old, full of energy. She absolutely charmed the MPs who met her and put a smile on everyone’s face. It is for children like her, and for their parents, that politicians, charities and the public need to come together to find better and longer-lasting solutions to childhood cancer. Some of the MPs and peers who joined us at the event have personal experience of childhood cancer within their own families and in their constituencies. Understandably the event, especially talking to Tara and her mum Zazie, had particular significance for them. Taking Bake Club to Westminster was a fun and inventive way to engage with Parliamentarians and of course the cakes were great! But seriously, it allowed MPs to find out more about raising awareness of childhood cancer in our constituencies and to hear the first-hand experiences of Tara and Zazie. It reminded me that together, we can make a real difference to the lives of children with cancer and their families, now, and for the future generations. 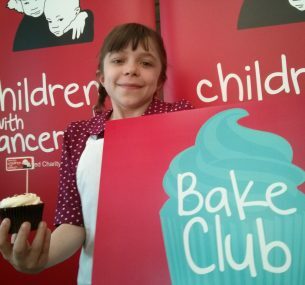 Why not find out more about how you can get involved in Bake Club including tips, recipes and to watch Tara’s video baking Red Velvet Cupcakes with Paul Young. I chose to support Children with Cancer UK because I have seen first hand the phenomenal work this charity does at both an enterprise and family level. One of these was as a Titanic themed cocktail event in March 2012. There were over 80 party-goers, all dressed to impress, in the recreated casino and Martini/cigar lounges. Organisers, Mr and Mrs Viggers and Mr and Mrs Snelling, along with help from Bishops Stortford Rugby Club volunteers, left no stone unturned in making it a truly remarkable party. None of the expedition would be possible without the immense help from Vtesse Networks, Jacks of Dunmow, HPEMS of Dunmow and PCubed.